Q is joined in his quest by his young son, little q, as well as by two displaced Starfleet officers. 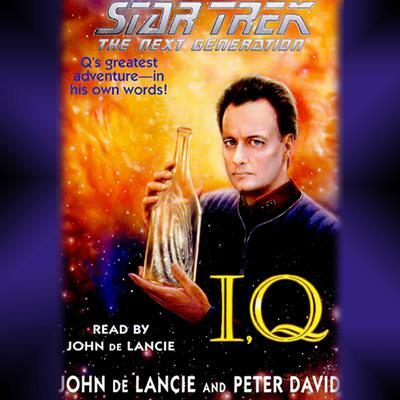 Snatched from the USS Enterprise by the inexorable pull of the Maelstrom, Captain Jean-Luc Picard and Lieutenant Commander Data have no choice but to accompany Q on a hazardous journey into the very heart of the vortex, where they will encounter wonders and dangers enough to render Q himself speechless. Almost.